Comprehensive Assessment of Team Member Effectiveness (CATME) and Team-Maker and SimSE were announced as the Premier Courseware of 2009 at the 2009 ASEE/IEEE Frontiers in Education Conference on Tuesday, October 20, 2009 in San Antonio, TX. Matthew W. Ohland, Purdue University; Lisa G. Bullard and Richard M. Felder, North Carolina State University; Cynthia J. Finelli, University of Michigan; Richard A. Layton, Rose-Hulman Institute of Technology; Misty L. Loughry, Georgia Southern University; Hal R. Pomeranz, Deer Run Associates; and Douglas G. Schmucker, Zahl-Ford, Inc. The Comprehensive Assessment of Team Member Effectiveness (CATME) and Team-Maker combination are an integrated and well-tested system that helps manage teams in engineering courses. Team-Maker is a tool for forming teams using instructors’ criteria, which helps instructors save time and effort in creating balanced teams. 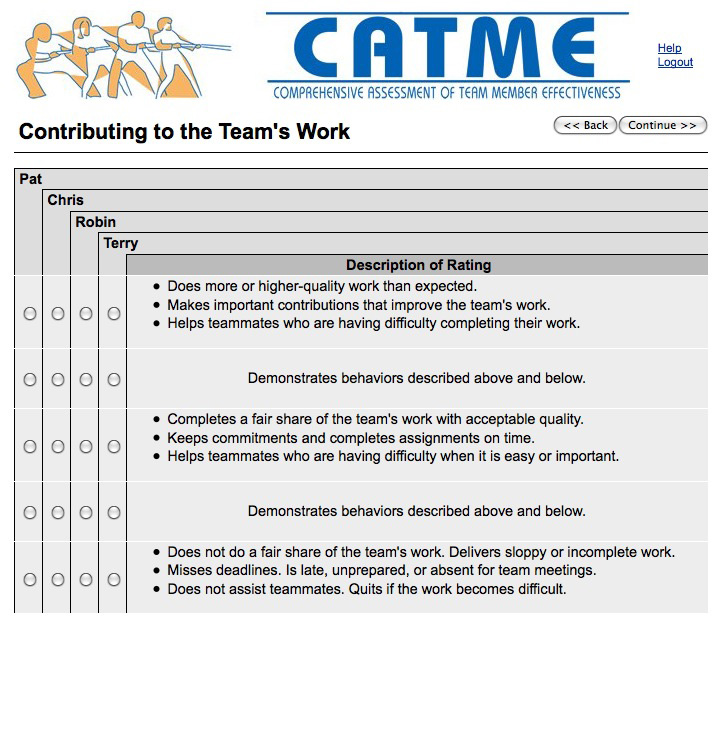 The Comprehensive Assessment of Team Member Effectiveness (CATME) collects and analyzes self and peer evaluations of team members’ contributions, which provides faculty the feedback they need to manage teams in the classroom. CATME also provides students with tools that help them perform well on a team by providing incentives to contribute to the team, feedback about their performance and suggests steps to improve their performance. CATME/Team-Maker are built upon a sound theory of teamwork that has been well tested both in terms of validity and reliability, and have been demonstrated to help students learn and perform better. SimSE is a game-based educational software engineering simulation environment that allows students to practice “virtual” software engineering processes in a graphical, interactive and fun setting. The direct, graphical feedback enables students to learn the complex cause and effect relationships underlying software engineering processes. During the game, the student takes on the role of the project manager and direct engineers to perform typical process tasks. SimSE helps bridge the gap between the conceptual knowledge about software engineering that is presented in lecture, but that oftentimes is not fully explored or practiced in assignments or projects. SimSE includes a customizable modeling environment that allows instructors to create new scenarios, application domains, organizations and cultures. SimSE has been used worldwide and has been found to be an educationally effective tool that increases students’ understanding of software engineering process concepts.